Win an outdoor ‘Spruce Up” and Jeyes product bundle! It’s the perfect time of the year to spend some time enjoying your outdoor space. Whether you are entertaining friends on a summer’s evening, or enjoying some peace and quiet with a book on a sunny afternoon, you want your garden or balcony to be a relaxing space. 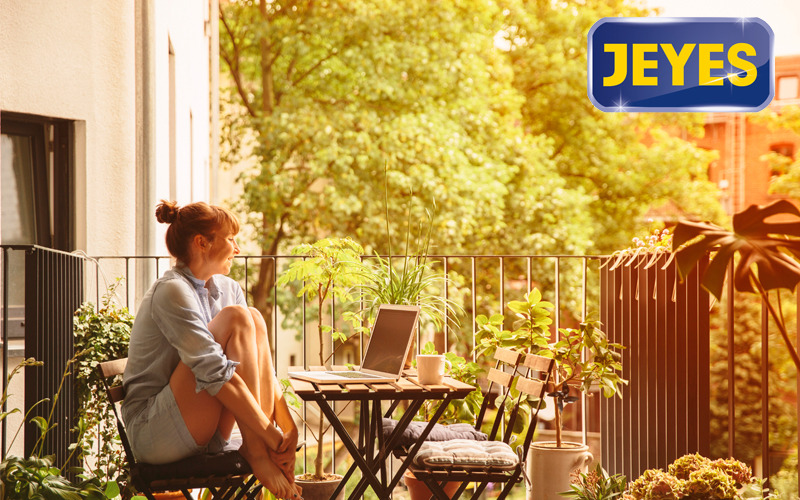 That’s why outdoor cleaning specialists Jeyes are offering a fantastic prize where one lucky winner will receive an outdoor spruce up to clean and tidy their outdoor space – and a bundle of outdoor cleaning products to help keep it clean all summer long. The six-hour outdoor tidy up, courtesy of Jeyes, will include a range of tasks to choose from, including mowing the lawn, cleaning up paths, patios and pots, or cleaning down patio furniture. With a cleaner garden you can be sure to look forward to a great summer ahead in your own outdoor oasis. New Members - Join womanandhome Competition Club today for Free. Please keep me up to date with special offers and news from Woman and Home and other brands within the TI Media. UK Group. by sending me the womanandhome newsletter and other messages by Email, Post, Phone, and/or SMS. You can unsubscribe at any time.